Tenant Qualification – Are You Doing it Right? When it comes to processing application forms, most property managers will do the basic checks of confirming employment details, landlord references etc. 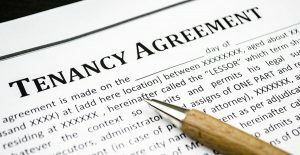 However, most property managers fail to record the information in writing when processing the tenancy application. Most property managers if ever challenged by a disgruntled landlord to produce written evidence that they processed and qualified a tenant on an application form will be able to produce nothing! • Just ‘ticking’ the original application form that the checks were done. • Writing handwritten notes on the original application form, or on a post-it note stuck to the application form. • Confirmation with the tenant – Confirming the application with the successful applicant, what was confirmed, lease term, start date, rent amount, pet details and any other relevant information. Accurate recording will save you later on! Any property manager who thoroughly records information knows the benefit of referring to this information later. For example, A tenancy ends in eviction and the landlord starts the blame game, stating that the agent failed to ensure the tenant was properly qualified, and also that he was not aware the tenant had a pet. Quickly referring to comments recorded on the original application processing form, it is clear to see that the landlord had approved the tenant against the recommendation of the property manager because the tenant lacked previous landlord history information. The landlord had stated ‘give them a go!’ Further, the landlord approved a dog. Without this information, it becomes very vague and difficult, especially if the landlord is out for compensation and wanting to blame others. This recorded information is even more crucial if the original property manager who processed the application is no longer with the agency. Ensuring that all details are properly recorded at the application processing stage makes good sense and gives you peace of mind, later on, should you be challenged.